heart wrote: The earliest text that we have on Mahayoga doesn't mention any tsa-lung practices. Neither the Guhyagarbha nor texts like "Dorje sempa zhulan" mention it. On the other hand these are the oldest text we have that mention Dzogchen. However many terma teachings that are called Mahayoga have tsa-lung. So for this reason everyone are quite correct. I am reading Dalton's Anuyoga dissertation and it is quite interesting as well as easy to read. In anuyoga it seems the inner tantras are always treated together, which makes sense to me. Also it seems that the whole idea of the nine yanas comes from anuyoga, or rather the dupa do. I would really like to see some original anuyoga sadhanas and after reading about early mahayoga I would really like to see those also. That is one problem with scholars, they don't understand practical application. I'm glad you have mentioned some of these things Magnus, I was thinking of doing so, but I can't recall them as clearly as you do. It seems that if one is really wanting to look at the original anuyoga sadhanas you should target the Tsog chen dupa`i (Great assembly main empowerment). [Great assembly is the name of fundamental sadhana of the anuyoga root tantra Gongpa dupa, whose elaborate initiation is this Root empowerment to the Nine vehicles]. as mentioned in this list you pointed out http://nyingma-kater.blogspot.com.au/. This is an annual drupchen at many gompas. Yudron wrote: Interesting. Looking at the Longchen Nyingthig ngondro, three levels of refuge are in the four lines of the refuge section, and this happens in other ngondros as well. People may not understand that they are saying in that verse, but it is there from the start. I've never heard that called outer/inner/secret, but I can imagine some one could. The way I was taught was that the ngon.dro of the nyingma is classified part of the inner tantra, whilst in the later traditions it is outer. This actually allows instructions to be given to the practitioner, depending on their capacity, that may involve inner, secret and most secret as part of the ngon.dro. It's not unusual for some togal instruction to be given as part of the three kaya mandala offering, admittedly being a kind of outer togyal. But the way I understand it is that once the practitioner has gone through the cycle of practices in the three inner yanas, when they then approach their daily ngon.dro practice, they are now coming at it with a fully enhanced view and application, and can implement the full inner yanas to those practices (given instructions are transmitted). Also to your other question, there are mahayoga sadhanas within the Khyentse tradition where even in the short daily sadhana one still does physical tsalung exercises, as well as the visualisations and recitations associated with them. Also, the trechod and togyal are also performed within these sadhanas, that is part of the cycle of those termas. And I don't think this is isolated. I'd be surprised if it was. Yudron wrote: The few people I have contact with who are most interested in going back to the roots of Dzogchen and the oldest possible roots of Nyingma tantric practices have Sakya training. I went to college at a place--the University of Chicago--the prides itself on teaching from the original core texts of all traditions... it's famous for that kind of curriculum. I see the value in that approach. So, apparently, did Nyoshul Lungthog Tenpai Nyima, whose very name sends shivers down my spine. 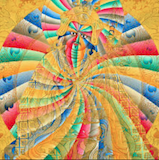 He is one of the great Nyingthig lamas who really relied on the Kama tradition. That being said, when he received Dzogchen he said he regreted spending so many years in retreat focusing on Shantideva's Way, rather than Dzogchen. Wow... that kind of blew me away when I first read it, but now I reflect a bit more... especially if someone like that said it... it makes you reflect... not on Shantideva's Way being restrictive, but on Dzogchen being so unimpeded in light of Shantideva's Way. Wow. Where does that come from? Which namthar? I was told the story of a Gelugpa geshe who become quite inspired by Patrul Rinpoche and went to him requesting the pointing out instructions, and Patrul Rinpoche told him to come back when he had stabilised his bodhicitta practice. He returned to Patrul Rinpoche after 13 years in mountain retreat and PR gave him the pointing out instructions which he was able to recognise and realise. ... Guess my teachers thought that was a more appropriate teaching for myself. Also, one teacher I was in the presence of, at a small teaching, said in the middle of the teachings, "A lot of people think I am a ati person, whilst really I am an anu person." I'm not saying who this was, I'm just saying we can't really tell what is going on and what people are really practising. Thanks for the tip on the Khyentse cycles in your post above, I was completely unaware of that! The best namthar of Nyoshul Lungtok Tenpai Nyima that I have is in Nyoshul Khen's Marvelous Garden of Rare Gems. Unless my memory has gotten creative, it's in there. I'm 3,000 miles away from my copy this week. Yeti wrote: Also to your other question, there are mahayoga sadhanas within the Khyentse tradition where even in the short daily sadhana one still does physical tsalung exercises, as well as the visualisations and recitations associated with them. Also, the trechod and togyal are also performed within these sadhanas, that is part of the cycle of those termas. And I don't think this is isolated. I'd be surprised if it was. I can confirm that trechö and tögal being practiced in certain sadhana's in the Chokling Tersar. ...it seems that the whole idea of the nine yanas comes from anuyoga, or rather the dupa do. 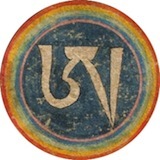 Although I am no scholar, the nine yanas are also mentioned on more then one occassion in the 'King of Tantras' - the Kunjed Gyalpo; a quote from this tantra states: "From it (the nature of mind) there arose the nine vehicles"
The Kunjed Gyalpo is a fundamental tantra of the Dzogchen Semde translated by Vairocana after his return to Tibet from Oddiyana. As this tantra comes down to us from the Kama lineage, it is the only text to represent Atiyoga in the Kangyur. Its major point of departure from the Dupa Do and the Guyhagarbha Tantra is in its directness especially in its interpretation of the 'med pa bcu' or 'ten absences'. This is in contrasts with the ten topics of Tantra as understood by the Nyingmapas as elaborated in the Guyhagarbha Tantra. Yes, but it is quite difficult to say which of the tantras of Mahayoga, Anuyoga or Atiyoga that is the oldest. There may be some correspondence between these classifications and the four types of activity. If you look at the lamas and dakinis in Dudjom Tersar, for example, they seem to mostly correspond. I'm not disputing what you say, but at the same time I feel there's probably much more to it. I think you may be on to something, Dakini Boi. Excellent observation. However, if we look at the Lama cycle of the Longcheng Nyingthig, the innermost secret is the Thigle Gyachen, and this is not drakpo. I don't think these are "exact correspondences," but here are some ideas, relating to the Outer/Inner/Secret/Etc. classification schema...these comments stem from my limited experience, which is mainly with Sarma practices, though also some Nyingma practices as well...so perhaps they apply, to some degree, to Terma classifications. "Outer" often signifies a practice based on praise, devotion, supplications...also, basic "transformation" visualization practices, relating to one's body and the other world, are employed. "Inner" practice often denotes methods which rely on internalization of the mind of the deity as one's own essence--and also, in some traditions, relates more to internal mantra recitation methods, and working with subtle body elements. Body mandala(s), and internal visualizations, are often a focus in these levels. "Secret" practice often deals with abandoning dualistic concepts of clean/dirty, or other dichotomies--one finds more dynamic, and somehow more "naked," characteristics to this level of practice...perhaps less elaboration with visualization and ritual, but more stress on Mind's Nature/Essence, etc. I think this is the main point. Yudron wrote: T. Chokyi: no, you're not getting the current question. The poster knows what the 9 yanas are. The nine yanas, IMHO, have nothing to do with the new topic being addressed. That question is: What does it signify that tertons often have four sadhanas in a cycle. For example... Jigme Lingpa, Chogyur Lingpa, and Dudjom Rinpoche Jigdrel Yeshe Dorje all have Dakini cycles with different sadhanas designated as, respectively, outer, inner, secret, and innermost secret. What does this schema signify? What is its import? I have never heard a lama address this. But it kinda looks like the sequence generally gets more profound and esoteric, as they move from outer to innermost secret, not necessarily more elaborate or less elaborate. Isn't the explanation you are looking for in Longchenpa's Treasury of Scriptural Transmission? conebeckham wrote: I don't think these are "exact correspondences," but here are some ideas, relating to the Outer/Inner/Secret/Etc. classification schema...these comments stem from my limited experience, which is mainly with Sarma practices, though also some Nyingma practices as well...so perhaps they apply, to some degree, to Terma classifications. Yes, I think this is more to meaning of those cycles. Somehow I feel these things can have an explanation we may be able to understand on a basic level, but they also have a very profound meaning only accomplished practitioners really fathom. Last edited by Yeti on Wed Jan 16, 2013 11:15 pm, edited 1 time in total. Sadly, I see little correspondence to what you are saying and the practices I am familiar with. What does innermost secret correspond to then? The only place I can see a correspondence is that Orgen Menlha (Guru Rinpoche as Medicine Buddha) is a healing practice for the body. The chapters that talk about Nyingma. Yudron wrote: Sadly, I see little correspondence to what you are saying and the practices I am familiar with. What does innermost secret correspond to then? But here's an example: Check out Chogyur Lingpa's Zabtik Drolma. That cycle should be familiar to lots of us, right? So, the outer practice, which is what most of us know, is the 4 mandala offering to the 21 Taras, popular in most Kagyu centers, and I believe some Nyingma centers too. The inner practice relates to the 8 Taras who protect from the 8 fears, and these relate to Inner Afflictions, as well..and they are visualized internally, rather than externally. The secret practice, If I recall, relates to Tara and Hayagriva, Yabyum. As for Innermost secret, not all cycles have this category, but for those that do, I'd bet you'll find very elemental, unelaborate, yet profound practices. These are generalizations, for sure. But for Longchen Nyingthik, for example, compare the Rigdzin Dupa and LaChen Tigle Gyachen practices. Inner, and Extremely Secret, respectively. Also, another example, in general, would be the Drollo practices...these are often the secret or most secret levels of practice in given cycles, are they not? Drollo has some extremely transgressive elements, as well as the most extreme, wild energy, I think? These are classified as "Secret Inner Guru" practices in Rinchen Terdzo. I'd have to look at the actual sadhana texts to clearly determine if they fit my hypothesis. It would be interesting to look at Sangye Lingpa's Great Compassionate One cycle, also, which has Outer, Inner, Secret, and Unsurpassed Extremely Secret levels...or Choglings Great Compassionate One. Pema Rigdzin wrote: Hmm, I dunno, Yudron. Maybe so. But I always got the impression from my closest gurus, the Khenpo Rinpoches, that the main distinction between Mahayoga and Anuyoga was the gradual vs instantaneous generation of the deity. But, similarly to what you've said, I think maybe the strict features denoting either classification is more according to kama, and that with terma cycles there seems to have been a lot of blending of the three inner tantras so that the sadhanas aren't strictly maha, anu, or ati... Like in many sadhanas--take for instance Tsasum Lingpa's Vajrakilaya--the generation would be instantaneous ala anuyoga, but the practice would still focus heavily on the radiation and reabsorption and other key features of mahayoga, but then the verses would be chock full of references to the base, path, and fruit of Dzogchen and the instructions explain that certain key, traditional wrathful sections are actually referring to nothing other than trekchod, even if they sound like mahayoga (i.e. "wielding the vajra weapon" if need be after offering the gek tor). First, is there a a book were the Khenpo brothers said this about anuyoga being instantaneous generation of the deity? Somewhere Malcolm said that almost all Tibetan sadhanas were anuyoga sadhanas. Looking at the sadhanas I have many of the "concise daily practices" (gyenkhers) have instantaneous generation while the little longer sadhanas (leyangs) normally have a more gradual development stage. The explanation for this is that once you know the longer practice you don't need some many words, you already know how to do the practice. However many sadhanas from Nyinthig cycles have a very different way of phrasing the three samadhis and the five elements and other typical mahayoga features. Then in Karmey Khenpo (close disciple and linegae holder of Chokgyur Lingpa) explanation of the sadhana of Mavey Senge, a relatively straight-forward mahayoga sadhana from the Chokling Tersar he say that resting in the natural state is the ultimate protection circle and so on. This text have influenced my way of understanding sadhana practice a lot. For example he says the Jamyang Khyentse insisted that during the recitation phase the first third you concentrate on the seed-syllable of the main deity, the second third you do the "trondu" and the third part you rest in the natural state. Also the completion stage is also to rest in the natural state. It makes a lot of sense when applied and it changes your understanding of the benefits of sadhana practice. I seem to recall a similar categorization both from ChNN and from one of my root Dudjom lamas. That although Anu yoga is generally associated with tsa-lung it also corresponds to the instantaneous arising of the yidam in a sadhana. I may be wrong, this is of course my memory only, I have no text or notes to look to. However, I believe the Lion Faced Dakini short sadhana we have in Dudjom has this quality, and is thus categorized that way. For instance, there is no seed syllable visualized first, from which light emanates manifesting the pureland, charnal ground or palace, etc. and from which then the Yidam arises, as in many Dudjom sadhanas. . In this one, you instantly appear as the deity, there is no prelude.